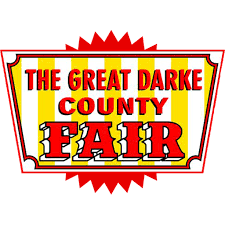 Do you love the Great Darke County Fair? The Darke County Farm Bureau is looking to hire two Fair Ambassadors for this year. This paid position will require ambassadors to set up the displays, work each day of the fair, and tear down displays and activities. The dates of employment will be Aug. 16-25, 2018. To promote a positive image of Ohio agriculture at the Great Darke County Fair Farm Bureau tent and to provide a memorable experience for fair-goers. o Provide a family friendly attraction that will generate positive conversations about the Great Darke County Fair and Farm Bureau. o Instill a better understanding of modern agriculture in fair-goers. o Build relationships with Farm Bureau members and the non-farming public. o Collaborate with businesses and organizations who share similar attributes as Farm Bureau. o Present educational demonstrations to fairgoers (lesson plans will be provided). o Answer fairgoers’ questions and serve as a tent host. o Cooperate with other ambassadors and shift volunteers to ensure the tent is well-staffed and well-supplied, the tent stays clean, and visitors are having a worthwhile and encouraging experience. o Work closely with county Farm Bureau members to carry out the Farm Bureau mission and building goals. All inquires can be directed to the Darke County Farm Bureau office at 937-335-1471. All interested applicants shall send a resume to [email protected] no later than July 13, 2018.